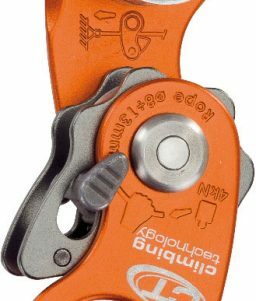 Use the ABC Right Handed Ascender by itself or paired with a left hand ascender for aid climbing activities. 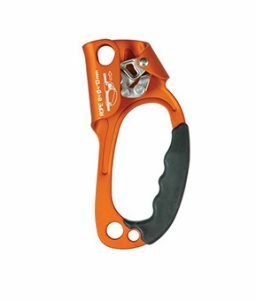 SKU: LM-434680 Categories: Climbing Safety, Climbing Ascenders Tags: abc ascender, aid climbing equipment, climbing ascender, right handed ascender Brands: ABC. 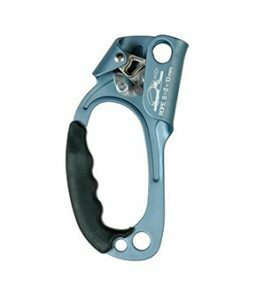 This ascender is designed to allow climbers to grip the rope using their right hand. 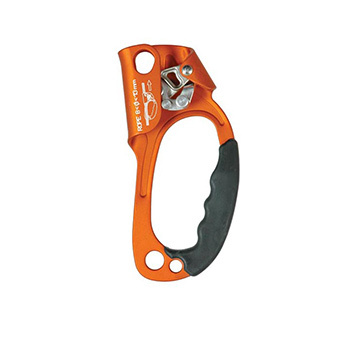 This ascender can be paired with a left hand ascender (also available from OnlineSafetyDepot.com) to facilitate gripping while ascending up a climbing rope. ABC’s patented ascenders are strong. 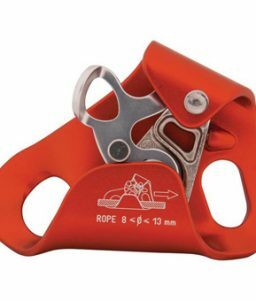 They are made to work on ropes from 8mm to 13mm and come with a patented lever that, when suppressed, allows for safe and easy down climbing without removing the ascender from the rope. This right handed ascender comes complete with a comfortable rubber grip that stays that way even in harsh, wet conditions. The rope cam is designed to hold even on dirty, muddy or icy ropes. 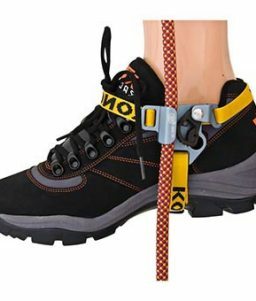 Use this ascender device for recreation or for climbing safety on the work site. 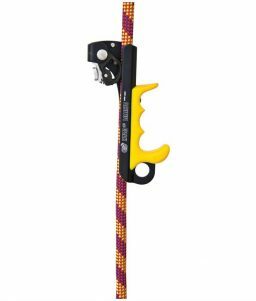 OnlineSafetyDepot.com also carries a collection of ropes that work with this ascender. Feel free to browse our collection of static and dynamic rope with diameters between 8mm and 13mm.